A powerful, shallow earthquake hit off the southwestern coast of Sumatra in Indonesia on Wednesday and could trigger a tsunami, officials said. There were no immediate reports of injuries or damage. 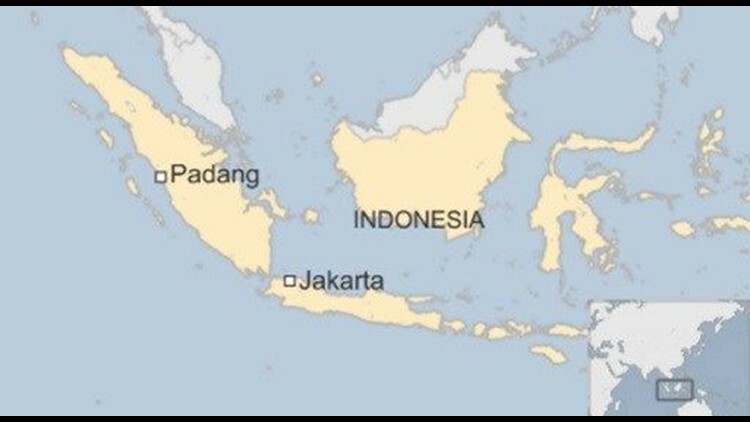 JAKARTA, Indonesia (AP) — Indonesia lifted a tsunami warning issued Wednesday after a powerful earthquake off Sumatra sent islanders rushing to high ground. The U.S. Geological Service said the earthquake had a magnitude of 7.8. It was centered under the ocean at a depth of 24 kilometers (15 miles), it said. Shallow earthquakes are more likely to cause damage, but the USGS said the quake was located far from land, about 659 kilometers (409 miles) from the town of Muara Siberut. Disaster Mitigation Agency spokesman Sutopo Purwo Nugroho said no damage or casualties were reported so far, but panicked people in several cities and villages on Sumatra island and in the Mentawai island chain fled to higher elevations. Marjina, a resident of Sikakap in the Mentawai islands, about 690 kilometers (430 miles) from the epicenter, said the quake was felt only weakly there, but the tsunami warning caused panic among villagers. Andi Eka Sakya, head of Indonesia's Meteorology and Geophysics Agency, said on TVOne there was only "very small" potential for a tsunami because the quake didn't occur along a major fault known as a subduction zone. A tsunami is caused by massive displacement of seawater when a powerful earthquake lifts the ocean floor.